This ownership is South Tower Ocean View. Ocean View unit! Bonus 81000 points from last year. Offers Welcome! - Reservation made for 10/04/19, can be changed by buyer. Excellent opportunity to own 2 OCEAN FRONT units. Priced to sell at $31,500 each. If you are looking for the most beautiful place to enjoy your vacation year after year, you have found it! A Westin Ka'anapali Ocean Resort timeshare resale in Maui, Hawaii, is for you. With multiple airports to choose from, you will have only a short five minute - 45 minute drive through the island to arrive at The Westin Ka’anapali Ocean Resort Villas. Along the way keep your eyes open for a glimpse at the Haleakala crater (an inactive volcano) or to the sea for a humpback whale sighting! The Westin Ka'anapali Ocean Resort is loaded with luxury and lavishness to keep you pampered from check-in to check-out. You have your choice of either studio sized villas or one bedroom villas. All villas include: a 27” Flat Screen Television, DVD player with a Bose Stereo, and a hot tub. Each studio and one bedroom villa includes kitchen appliances, a toaster, coffeemaker, hairdryer, an iron and ironing board, a washer and dryer, and a whirlpool and separate shower. Each kitchen has all the cookware, dinnerware, and silverware you will need on your timeshare stay. Studios can accommodate up to four people and one bedrooms can accommodate up to six people. One bedroom villas have a large living area, a private lanai, dining area, separate full kitchen, a bathroom with a whirlpool tub, a washer, dryer, and a stereo. Both the one bedroom villas and studio villas are decorated with the style of a regal plantation house. Studio villas are 440 square feet with a large living area, kitchenette, a separate shower and bath, a washer, dryer, and a stereo. Previously owned timeshares, “timeshare resales” are currently available at Westin Ka'anapali in both villas sizes at incredible timeshare resale deals. During your stay at the Westin Ka'anapali timeshare resort many of the activities you may enjoy will be outdoors, so be sure to put on sunscreen before you head to the beach or the pool. If you forget to bring some, just visit the General Store or the Pool Hut. The more energized vacationer will want to head over to the beachfront side of the resort. There you may try snorkeling, snuba, and scuba diving. You are also welcomed by scenic lagoons and a heated swimming pool. There is a children's pool with a pirate ship and four outdoor whirlpools. 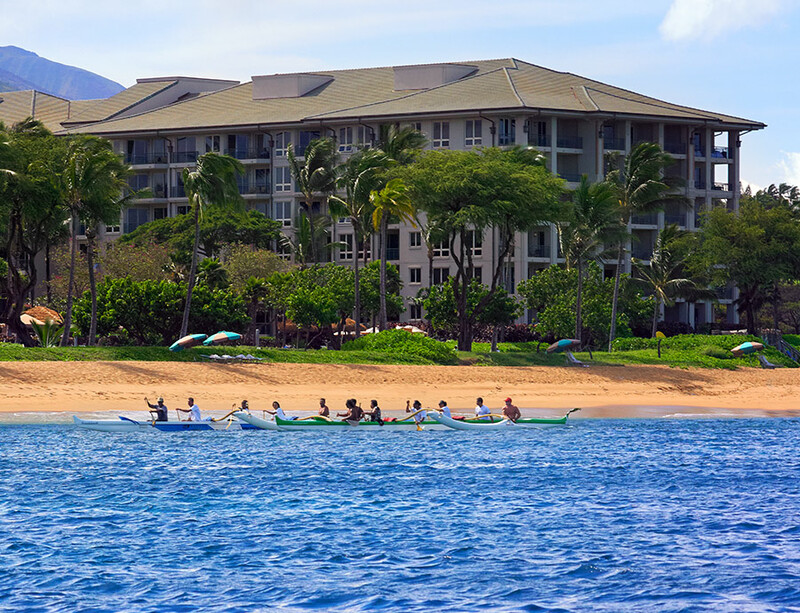 Don’t want to miss a workout while on vacation at your Westin Ka'anapali fractional ownership? Before you head out to the beach, why not use the Westin’s state-of-the-art fitness facilities and work up a sweat while keeping up your routine. If you just want to relax, you may want to visit the steam room and sauna. The best part is you can do all this while your kids hang out in the X-treme Play video game rooms. With hourly rates and daily rates available, you can let your kids enjoy games for the PC, XBOX and XBOX 360, Playstation 2 and Playstation 3, Nintendo Wii, Gamecube, high speed internet browsing, Messenger and Webcam. Each and every night you will be welcomed to celebrate the beautiful sunset with live entertainment or other exciting events right at your timeshare. Timeshare owners at Westin Ka'anapali Ocean Resorts are always satisfied with their entire stay. Become an owner today, browse our Westin Ka’anpali timeshares for sale. You just might be surprised by the Westin timeshare deals you’ll find. When it’s time to head out and enjoy the exotic local cuisine, you’ll find there are many culinary options from which to choose. You may want to visit the Pulehu restaurant (Pulehu means grilled or cooked over an open flame in Hawaiian), for an extensive menu including a variety of fresh fish like Mahi Mahi, Monchong, Opakapaka and Ahi. Not a fish fanatic, try their rack of lamb, filet mignon, New York steak, or chicken breast. There are so many items to choose from, you will have your work cut out for you. When you get hungry around lunchtime, you may want to visit Pailolo Bar and Grill for delicious lunch and dinner menu items like chicken wings, Haleakala nachos, hamburgers, and pizza. A must stop location after a long day driving the famous "Road to Hana" is Mama's Fish House in Hana. The menu changes daily depending on what the local fishing boats bring in. Listed alongside the dinner entrees you'll even find information on which boat your catch of the day was caught. The atmosphere and service is as charming as the menu. Rain or shine, business or pleasure, buying a Westin Ka'anapali Ocean Resort in Maui, Hawaii will satisfy and put your mind and body at ease. Premier Timeshare Resale can help you to buy or sell a Maui timeshare. We do not charge upfront fees and will do our best to find you the best Westin Ka'anapali timeshare resale deals on the market!